Posted February 5, 2018 & filed under How to Build a Racehorse. 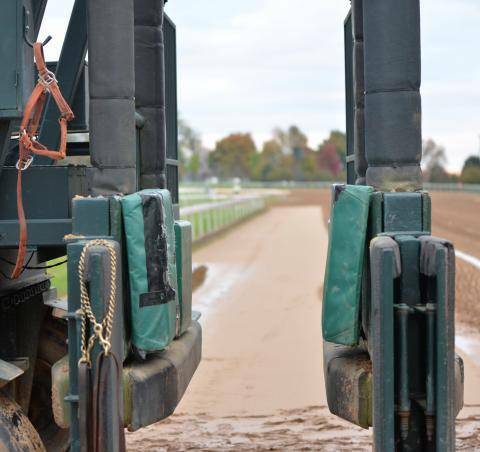 It is against a horse’s nature to enter the confined space of the starting gate, yet it happens before every race at racetracks all over the world. 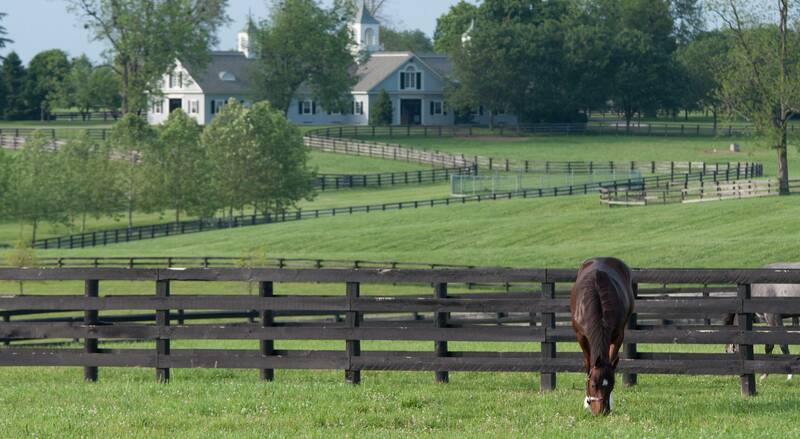 In our Gate to Great: Schooling for Success blog, we touched on the early days of training necessary for this daunting task to become old hat for young Thoroughbreds. Once a horse leaves our training center and arrives at the racetrack, these lessons will be put to the test. Per Kentucky statute, first-time entrants will not be allowed to race unless they have logged three official workouts, one of which must be from the starting gate. This rule ensures that the horse can load, wait, and break cleanly in a race. A poor start can not only affect their individual chances but can also interfere with the rest of the field. Final approval of the horse’s readiness is made by the gate crew, and some horses may need more than the three mandated workouts. The gate crew is a team of 10-15 horsemen who assist with morning training and handle loading on race day. 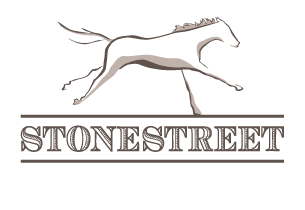 They evaluate each individual’s progress on a case by case basis and issue “gate cards” to horses that successfully complete the approval process. Upon receiving their “gate card”, a horse will be allowed to enter a race. 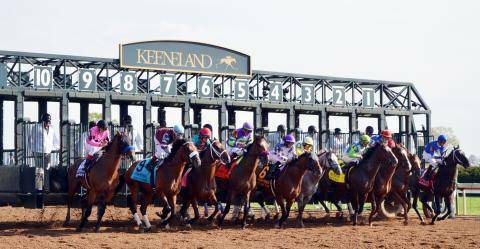 Horses that are repeatedly fractious in the gate or disruptive at the beginning of the race may lose their gate card and go on the Starter’s List. Horses on the Starter’s List are unable to race until they are re-schooled by the gate crew and reissued their gate card. Most notoriously, Quality Road wrestled with Assistant Starters leading up to the Breeders’ Cup Classic in 2009 and even broke through the gate before he was eventually scratched. As a result, he had to undergo additional schooling sessions in order to race again. The gate can be outfitted with specially padded stalls for horses that have had past issues to relearn patience without the risk of injury. Any horse undergoing an equipment change, like adding or removing blinkers, will need to be reapproved as well. Once the horse has completed the reapproval process, the crew issue them a card with their equipment change and the date the horse last worked. Records are kept on each horse so that new and problem entries can be identified and handled with additional care. The gate crew consists of the starter and assistant starters. 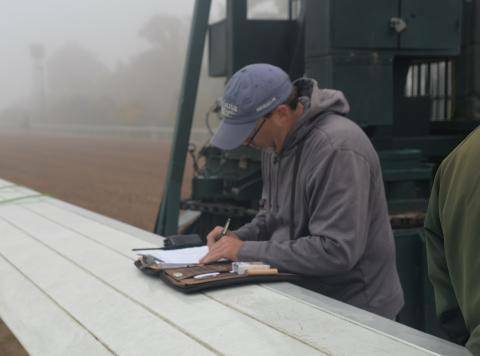 On race days, an assistant starter is assigned to each horse and enters the starting gate with them to make sure that the jockey is secure, the horse’s feet are planted, and the horse’s head is pointed straight when the gates open. They stand poised on a 3-inch ledge waiting for the start. When all the horses have loaded, the starter looks for a moment of peace before unleashing the field. Working with such large and powerful animals can be dangerous, and the gate crew prepares accordingly. Each member wears a flak jacket and a helmet on race day to protect against serious injury. They take extra precautions when handling horses that may have gate issues. There are a number of different techniques for loading difficult horses. Most commonly, the assistant starters will link arms behind the horse, slide their arms down its hindquarters, and guide it into the starting stall. For this method, they position themselves at the horse’s hip to stay out of the way should they kick. Horses may also be blanketed, blindfolded, or led in with the front gates open. 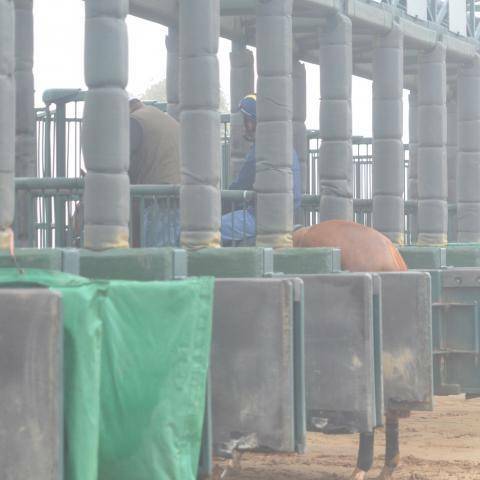 At some racetracks, the gate crew has the added responsibility of moving the gate out of the way of the oncoming horses once the race has started. A crew member will jump off the gate after the break and straight into the truck or tractor, carefully pulling it out of traffic. The gate crew has one of the most dangerous yet essential jobs at the racetrack. Having a solid gate crew ensures the safety of both equine and human participants.